Happy weekend everyone! Hope you're enjoying whatever you're doing. I've just got home after a pleasant morning pottering about the shops with my sister and nephews. Of course I made a beeline for all the Christmas stuff as you can probably tell from the header photo. 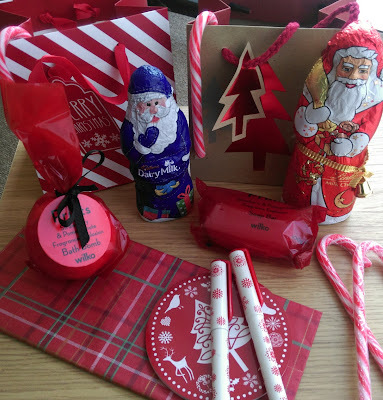 Festive Gift Bags 50p each, Cadbury Chocolate Santa £1, Lindt Chocolate Santa £2, Strawberry & Pomegranate Fragrance Explosion Bath Bomb & Soap (these smell gorgeous!!) 95p each, Festive Tissue Paper £1 - All from Wilko. Candy Canes £1 for box of 15 - Poundland. Festive Pad & Pen Set £1.99 - Toys R Us. I also picked up this Christmas Cracker Kit from Toys R Us for £3.99. 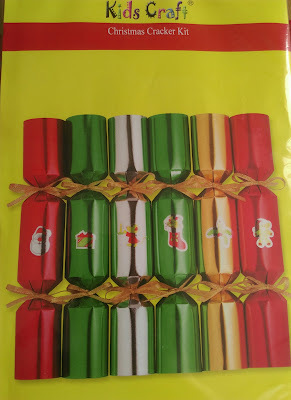 Every year I traditionally make personalised crackers. Inside each I hide a scratchcard and small gift. They seem to go down a treat plus I love making them. Why not give it a go if you've never tried this? 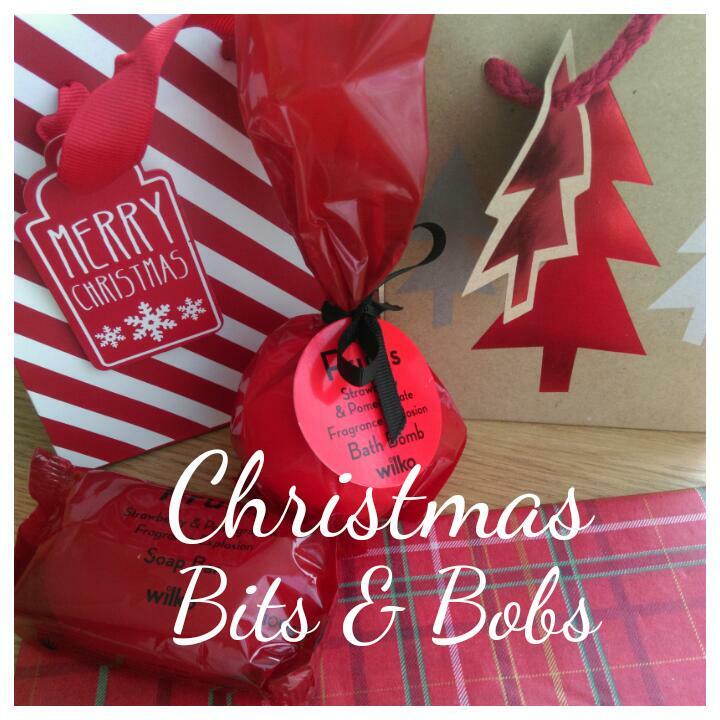 Have any of you started buying in bits for Christmas yet? That's it from me until tomorrow. 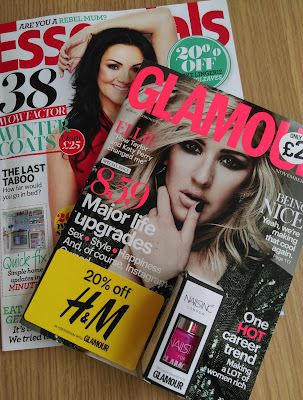 I'm off to read Glamour & Essentials. If any of you love your nail polish Glamour are giving away a 10ml Nails Inc with every issue with FOUR colours to choose from! What are you waiting for? Run to the shop now!